If you knew our dad you know that he was first and above all a man of God. Our mom was right when she whispered to him “God is welcoming you home Good and Faithful Servant”. He loved the Lord, and loved his family. Mike always took care of his family and friends. Always putting their needs above his, and doing for others even when he was in need himself. He was the first to lend a hand and the first to offer a prayer to someone in need. Truly a Good and Faithful Servant. Mike Rybicki was born on November 19, 1954 and grew up in the Greenville, MI area. He later moved to Caledonia, MI and raised his family with his wife Sue. They were lucky to be blessed with 7 grandchildren and have another arriving soon. As of the last couple of years they have been spending their winters in Orlando, FL and the summers back home in Michigan. They have been enjoying life in the outdoors, and spending time with family and friends. Mike will be missed by all, he leaves behind his wife Sue Rybicki; children: Carrie Roush (Robert), Holly Peterson, Chris Rybicki (Christin); grandchildren: Kayla Chapman, Peyton Falor, Ethan Roush, Owen Roush, Leah Madro, Julie Madro, Lucas Madro and baby Rybicki. He also leaves behind his sisters Lori Salisbury (Lewis) and Janice Donnan. 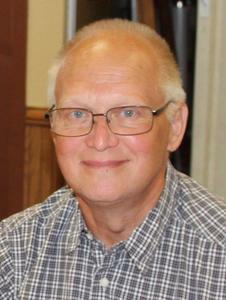 A memorial open house will be held in Mike’s honor Sunday August 19, 2018 from 2PM – 5PM at St Paul’s Lutheran Church, 8436 Kraft Ave SE, Caledonia MI 49316. Mike was a very giving man and always wanted to help others. Most recently he was working on a project to go out into the public and offer hugs and prayers to anyone who was in need. As his family we hope to carry on this legacy for him and ask that In lieu of flowers or donations all people will do as he did. Be kind, love one another, read the bible, pray, and in all things glorify God. He would be the first to tell you that he has been graced by God in more ways than he thought possible and lived his life trying to do the same for others. If it is in your heart to donate (that is dad giving you a nudge) he has been helping a friend of the family who are in need. They have a special needs child that could really use a service dog to help him. Dad being dad got the word out, asked for help, asked for money and prayed for the need to be filled. Not only was the family provided the needed funds, but a little extra too. No doubt dad helped in that. We have asked the family to set up another Go-Fund-Me page in dad's honor. If you would like to read his story or to help please click the link below. May God Bless You.